No matter how talented, an artist will inevitably have to choose a preferred medium. Do you want to work with pen and ink, paints, even clay or granite? It’s no different with a digital artist, who routinely gravitates to apps or environments where they’re comfortable to ply their trade. That’s because there are a ton (and we do mean a ton) of design software options to choose from. No matter where your expertise lies, you can dig deeper into that and every other aspect of digital art creation with this all-encompassing eduCBA Design & Multimedia Lifetime Subscription Bundle. It’s now on sale for just $19 from TNW Deals. If you’re unfamiliar with eduCBA, they’re one of the biggest online educators on the planet. Now they’re throwing open their doors on the entire archive of design coursework — and befitting their industry stature, there are literally dozens upon dozens of courses available. With more than 200 courses including over 700 hours of instruction (that’s nearly 30 days worth of content! ), you’ll have expert-led direction to help you master practically any discipline. From 3D modeling, visual effects and animation to graphics, video editing and game design, there are scores of courses covering every program or approach to your field of interest. 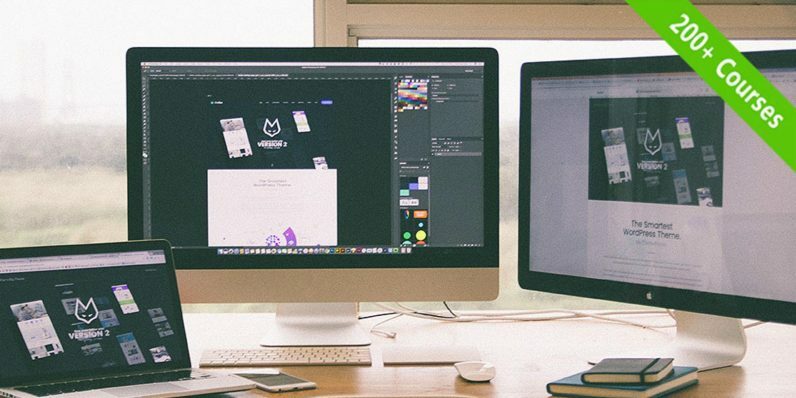 Photoshop, InDesign, Unity, Mocha, Keyshot, Maya, Nuke…they’re all here. And with comprehensive tests and quizzes to solidify your training, not to mention certificates of completion at the end of every course, you’ll soon have a stockpile of industry knowledge ready to get you hired or promoted across a number of job sectors. Whether you’re looking to expand your prospects or just dive into a cool creative arena on your latest whim, this bundle satisfies nearly any urge at a limited time offer price of only $19.